It is easy to add a kinda’ lofty rough hewn look to a loft styled condo. You can add this look to a main, or an accent wall. Perhaps one side of a long hallway you have, or one side of a guest bedroom wall? I have done it myself, and the results were quite good! First, find a solid wall- preferably one that is cement, plaster, or cinderblock. Apply wire mesh. Coat with a morter mix. While the morter mix is setting up, take a $5 pointing tool, and scar lines in the drying morter/cement mix to resemble bricks- approx. 6″ by 2.5″. You needn’t be perfect here- remember, you are going for an imperfect, old exposed brick kinda’ look. Now paint your new creation your favorite color. Since this is a faux process, you have to paint the look (it will look like dried, scarred cement if you don’t). Viola’…..a lofty look for your new Old City condo! 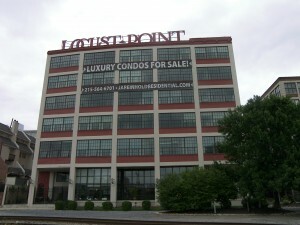 Locust Point Condos Are Now All Sold! A lot of smart elements helped make this building a success! It can be no secret that a few buildings in town are struggling to sell their units. Some buildings have had a much greater degree of success. The shining example would have to be Locust Point Condominiums at 2425 Locust St. here in downtown Philadelphia. With a total of 110 units, the building offered a great residential location, coupled with on-site parking, nice common areas, and a great mix of one and two bedroom units. Add other relevant factors- like being right next to the entrance of the Schuylkill River jogging trail, and close proximity to Univ. Of Penn- and Viola!…. The building is now all sold out! Of course, having a smart and friendly sales staff headed up by Marianne Harris didn’t hurt sales a bit! The sales staff made it very easy to show- and they flung the doors wide open when it came to cooperating with the real estate agents in Philadelphia. The developer also was very smart in rehabbing the common areas of the building, making sure hallways, lobby, elevator, and exterior were presentable. He also replaced all the windows in the building, and made sure Locust Point get FHA approval. Other developers should take note. This was a brilliant business model. The right building, done the right way, with a good sales staff equaled an unprecedented sell out. I am often asked what the 6″ metal star shaped thingies are that are often seen on the facade of many of Center City Condominium buildings. Simply put, they are called star bolts. 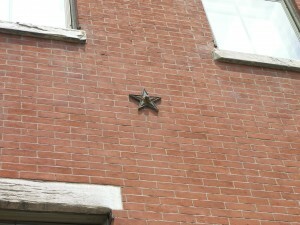 Though they come in many shapes, the star seems to be most prevelant here in downtown Philly. The purpose of the star shaped bolts are to prevent the facade from bowing out, or to perhaps to stop the process of the facade of many old rowhomes from bowing. They have a long rod that runs through the joists of the home, and is held in place by the endcap- the star bolt. They are not for decorative purposes, rather as a structural element to prevent the facade from moving out of place from over exposure to water seepage (and freezing of that water). etc. These bolts were also added as protection from earth quakes. For example, all the old houses in Charlston, SC had these bolts installed after a large earthquake destroyed parts of the city. So there you have it. Those bolts are doing more than just looking cute on the facade of many Society Hill homes. Though the first minute and a half is a pep talk about why you should buy now, this is a great and easy explaination of the tax credit. Here is what I suggest you do for all resale properties- get a home inspection. Yeah, even for a Rittenhouse Square condo, or an Old City loft. Generally speaking, you can at least ask the seller to fix something…even if that something is about the same cost as the home inspection- like a one year home warranty. When I buy a property, I look for two things- safety issues (which are almost always electrical in nature) and structural items. I am well aware that the hot water tank is going to go on the fritz in the next 5 years. Yeah, I also know the heater needs to be serviced to run optimally. What I don’t want is for the total of the needed major defects to be so great that it impacts my perception of the value of my purchase of any variety of new Philadelphia condos. 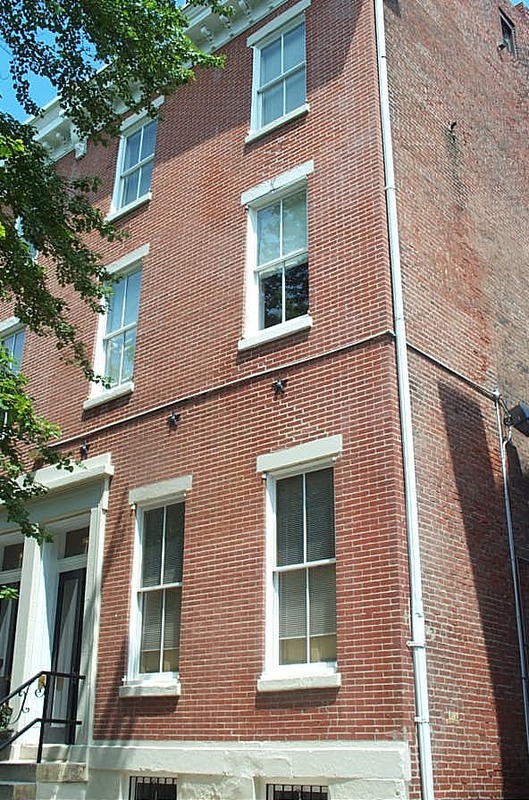 Owning a piece of Philadelphia real estate is like owning a car. You have to regularly change the oil, tune it up, get it detailed, and shampoo the carpets to maintain value. Yeah, I like Linoeum and Formica…. Though as fancy as we urbanites profess to be, allow me to brake rank and confess my love for two things- formica and linoleum. I don’t admit this freely (usually) and I may deny it, should you bring it up to me in casual conversation at a party of some black tie affair here in Center City Philadelphia. I have found that the selection, price point, and durability of these two (once scroned) elements of new construction make these two items almost desirable. Certainly neither have the cache of real tile floors and granite countertops, but in certain areas, I really don’t object to their usage even in a Rittenhouse Square Condo. For instance, in a laundry room- perfect. Kids bathroom- touche. Basement work areas- perfection. No, I wouldn’t go as far as to splash a lovely acre of linoleum in my new kitchen, but in certain places, spaces, and quantities, linoleum and formica may be your best alternative. Especially in a mud room (linolum) or say a crafts area (formica). It wasn’t easy for me to admit the above. But honesty is the best policy-even if I have to lie about it. Is that Window Air Conditioner Included in the Sale? This question, often asked, is really simple to answer. In the state of PA., IF a window air conditioner is simply sitting in a window, it is defined as chattel (personal property), and is not included in the sale of a home unless specifically listed as included in the sale. However, if a special cut-out or pass-thru has been made in a wall for that unit, then it is included in the agreement of sale without mention. This question does arise in some lowrise/Brownstone condos in Philly.